My father took his motorcycle to a local mechanic with a good reputation. 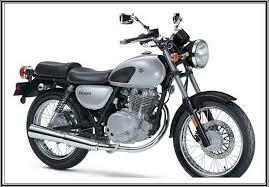 The mechanic, Bill, looked at his motorcycle and said, "Your bike is dirty and grimy. If you don't care about your bike, why should I? Take it home and clean it first, and then I'll consider working on it." My father, the guru of hippy business , was delighted by the brilliance of Bill's novel marketing technique. He did as he was instructed and of course Bill was happy to become his mechanic. What does this story tell us about martial arts? 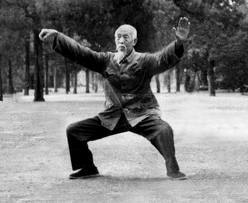 Part of the beauty of getting into Chinese martial arts has always been that it was a counter to the dominant Western* notions of fitness. Think: sculpted muscular bodies, big smiles with lots of shiny teeth. Some of the critiques that have developed to counter Western notions of the beautiful physique have come from within Western cultures. For instance, the notion that there are many different body types which can be healthy, strong, agile, and dynamic. This view is probably a natural out growth of the popularity of diverse types of sports training. There are other types of beauty, like tall, dark and brooding, which have little to offer a conversation about physique. That's because physique is all about what you do with what you have. Back in my twenties, when I got in a lot of discussions about social change, some of us radically minded dancers hit on the idea of offering to society the cultivated image of a holy body. This was appealing partly because all I had to do in order to effect social change was simply keep doing what I was doing. People would see my body and be consciously or unconsciously motivated to make society more humane, more body centric, more about things that mattered! (to us). There is a name for that view in scholarly circles, it is called romanticism, and it is a dead-end intellectually. As I dropped the romantic ideal, my ideas about movement became far more concerned with functionality, expressivity, and the inner-workings of secret (hidden) techniques. The types of embodiment I was cultivating tended to ignore notions of physique. But anything one does effects physique so this was a mistake. Examining the physique one is developing is a powerful feedback tool. Endemic to martial arts schools are instructions like, "Sink the shoulders, sink the elbows, relax the chest." This is a particularly bad set of instructions but there are long lists of these types of physique altering protocols. If a logical explanation for sinking the shoulders and the elbows is offered, it is perhaps that they should be relaxed, or perhaps that they should connect to the large muscles on the back. That's good logic, it might even have limited functionality. But it is wrong. What one wants functionally is maximum mobility combined with complete unity of movement. Complete unity of movement means that if one part of the body moves all other parts move in a unified integrated way; however, there is more than one way to do this. The results measured by the resulting physique can be a powerful mechanism for distinguishing between them. The instruction to "sink the chest" is a whole additional package of bad. Again, what one wants is maximum mobility of the ribs, sternum and upper spine combined with complete unity of movement. The ability to see and evaluate precise refinements of practice by looking at one's physique is a master level skill. But bad physique is pretty darn obvious. If a person's stomach is pooching out, or their head and shoulders are hunched over, or they are walking around on legs that look like rigid sticks, there is something wrong. If a person spends hours everyday staring at a smart-phone, it shows in their physique. I've walked into martial arts schools where not one person has a good physique. It is especially shocking how many martial arts teachers get away with having crumby physiques. Why do students bother with teachers who have bad physiques? Well, the answer is probably complicated but I think it should stop. Like Bill the motorcycle mechanic, if the teacher doesn't care about her body how is she going to inspire you to care? And speaking as a teacher now, how can a student expect me to care about their body development if they themselves don't care? I like the idea of the Old Kungfu Shifu who says to the new prospective student who is begging to be taught, "Go home and do this exercise 1000 times a day for one month and then come back. If you come back and you haven't done it, Shifu will know, and Shifu will kill you."